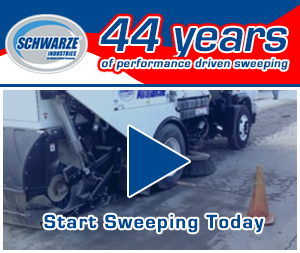 Nowadays, many sweeping companies are operating on razor thin margins because profits are often dependent on the best optimization methodologies available. Because operational visibility is the key to fleet management and optimization, one of the surest ways that can be achieved efficiently and cost-effectively is by investing in a robust fleet management system powered by the latest cutting edge software. 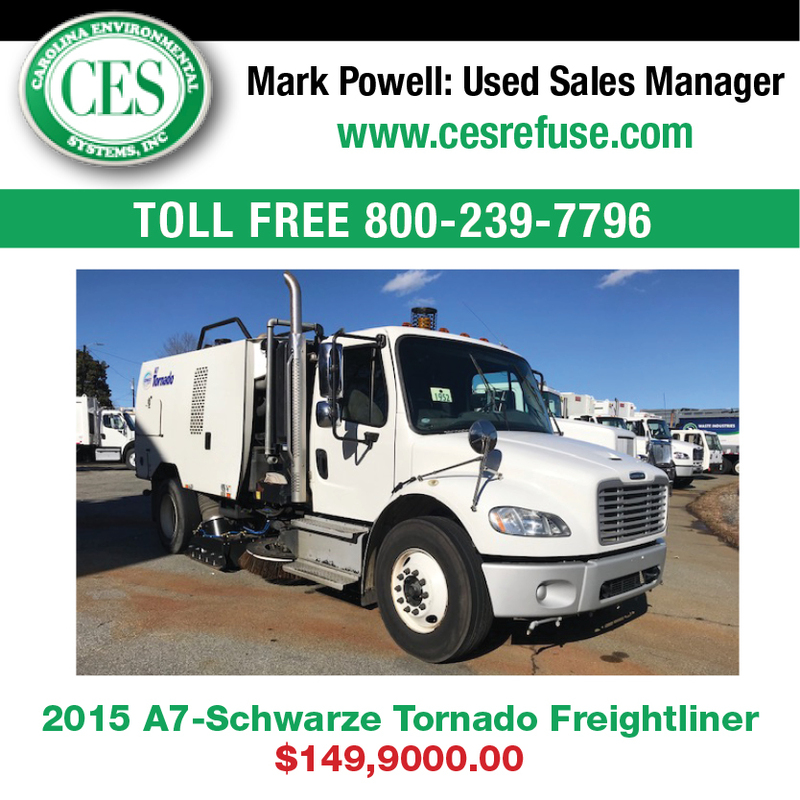 With gas prices and other expenditures the way they are, one of the best ways to assure that drivers and operators are functioning at the top of their game, you can be assured that the health of and safety of mobile resources can be maximized in order to keep total operating costs streamlined and as low as possible. Some of the everyday challenges facing fleet operators today include: visibility into the locations of mobile assets, optimal dispatch of scheduled and ad-hoc jobs to vehicles in real-time, real-time tracking of jobs that lets companies be able to forecast trends and assure customer satisfaction, effectively and efficiently managing the health, maintenance, and safety of all mobile resources. Due to these and other kinds of operational challenges, a comprehensive fleet management system can meet any and all challenges that a company operating a fleet of trucks faces on a regular basis. While some companies need to reach out to multiple service providers for the various hardware and software components of a fleet management system, and running into having to deal with multiple vendors for component integration problems, data inconsistencies, and service-related issues, there are also fleet management systems that provide everything a company needs to effectively and efficiently manage, maintain, and operate a fleet of expensive sweeper trucks. It all depends on how much you want to invest in such systems. With the right fleet management system in place companies can begin to control skyrocketing fleet running costs and other expenses in order to maximize fleet utilization through various optimization techniques such as software and hardware bundling and cross-docking. These systems let your office manager or staff members track any vehicle in real-time and pinpoint the location of the vehicles on a map visible on any computerized screen, from desktops, to laptops, to mobile devices. With such systems you are able to obtain real-time data on all aspects of vehicle components and operations, including driving patterns, where your drivers stop, how fast they are traveling and so on. This feature alone assures the safety of the drivers, and assures that they are following all the speeding and other laws Some fleet management systems allow you to automate job dispatching with pre-programmed algorithms that take into consideration any number of dynamic parameters from the external environment. In addition, you could provide customers with visibility into real-time fulfillment of their needs and requirements, and forecast information of delivery timelines, quickly respond to ad-hoc customer orders or requests, and reduce total costs of operations of mobile assets by proactively tracking all performance and maintenance issues. One of the key features of e-fleet management programs is providing real-time knowledge about driver behaviors. 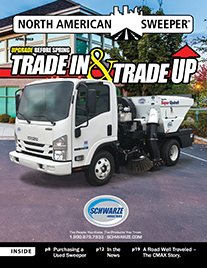 Many commercial/industrial sweeping companies are beginning to implement programs that train employees to drive their trucks in a more fuel-efficient way. Training drivers to adopt good vehicle operational habits can substantially enhance the fuel efficiency of almost any vehicle. This includes eliminated fast starts and hard stops and steering clear of unnecessary idling. In fact, studies have demonstrated that efficient use of fuel can be improved as much as 19% just by cutting down on a vehicle’s idling time. Moreover, encouraging drivers to operate within posted speed limits, especially during highway driving, also helps with fuel efficiency. Some estimates show that for every 10mph a driver goes over 60mph reduces fuel economy by about 4 mpg (www.fueleconomy.gov). 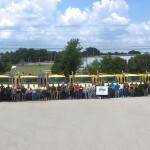 What is more, companies operating a fleet of vehicles that institute a managed fuel program can limit spending and managing at-the-pump controls. Another way e-fleet management systems can help save money is to use any number of smartphone fuel apps that assist drivers in finding gas stations offering the lowest-priced fuel. Some experts report that utilizing ‘find fuel’ apps while on the road can see as much as a 20- to 30-cent difference in fuel prices within a radius of five miles (www.fueleconomy.gov). Finally, in recent years some light truck manufacturers such as Toyota, Ram, and Ford have made considerable advances in engine technologies that are now on the market. 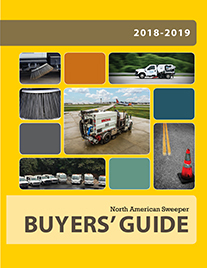 As everyone already knows, sweeper trucks represent a substantial investment and, being able to track those investments properly not only has tax ramifications, but it can help you more efficiently and effectively plan your overall costs, vehicle servicing needs, as well as truck maintenance so that you get the most out of your investment. Payment management is another functionality which allows you to track payment amounts, dates, interest rates and payoff date forecasting, even create amortization schedules to accelerate payoff of loans you may have taken out in order to purchase your vehicles. In addition to tracking costs of financing, with the right e-fleet management system you are able to track maintenance as well as labor costs.